Winner of both the G1 Belmont Derby (turf) and G1 Travers (dirt), 3-year-old Catholic Boy is one of the more intriguing chances for the upcoming Breeders' Cup Classic at Churchill Downs. According to drf.com, however, the son of More Than Ready missed a planned workout this past weekend at Belmont Park due to a fever. Thomas doesn't expect the one missed work to affect Catholic Boy's ability to make the Classic. 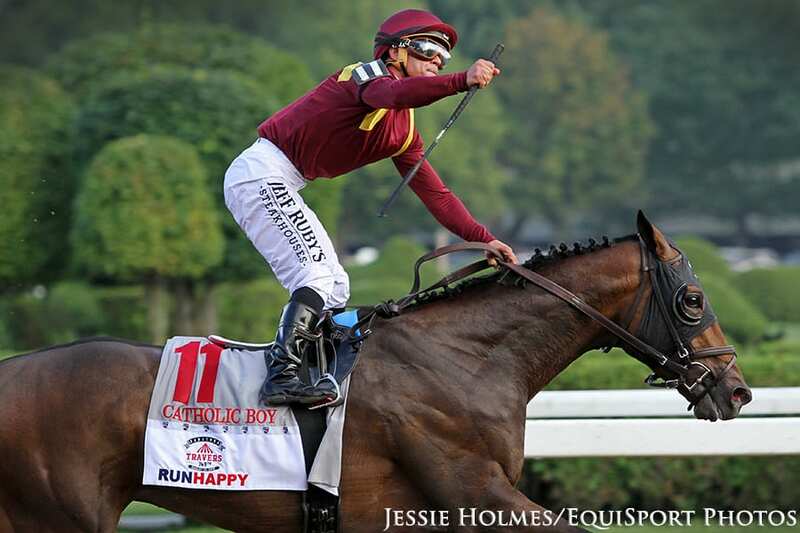 This entry was posted in Breeders' Cup, NL Article and tagged belmont, belmont derby, Breeders' Cup, breeders' cup classic, catholic boy, churchill downs, Jonathan Thomas, More Than Ready, travers by Paulick Report Staff. Bookmark the permalink.